Minneapolis Plumbing company also known as Hiawatha Plumbing offers full drain cleaning services. Below is a picture of that tree roots look like inside your sewer line. Most residential properties have root intrusion but that doesn’t mean you need to excavate. If a company convinces you to dig always get a 2nd opinion. Tree root intrusion only gets worse and worse as drain lines get older. Drain lines are no different than humans we age. The only way to get rid of 100% of tree root is by excavation but that’s not always needed or an affordable solution. Just cause one company says your sewer line needs to be excavated, another company might say you have years before you need to perform that work. Having your main sewer line in Minneapolis cleaned annually will also slow down root growth. 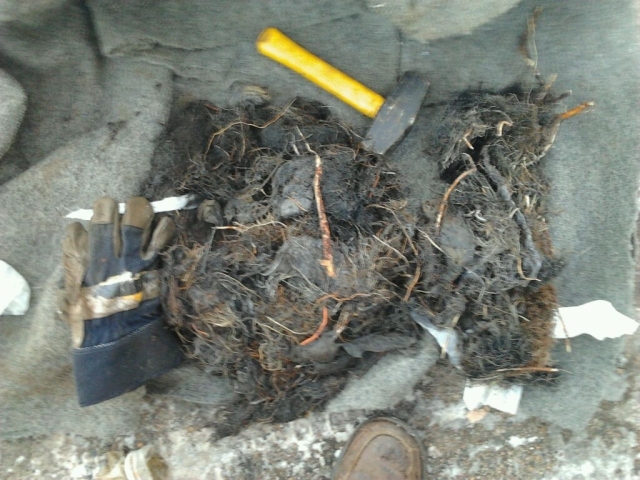 Cleaning your sewer drain line is the number #1 solution to cleaning roots. If you neglect cleaning tree roots your plumbing drain lines will separate and fall apart. Once the sewer line shifts to much that debris can’t flow to the city sewer line you will have no choice but to excavate. Hiawatha Plumbing has been servicing drain lines in Minneapolis since 1947. We understand that lines get used and need to be maintained to function properly. Our prices are affordable for everyone’s budget being less then 1/3 the prices of big names companies around Minneapolis – St. Paul area.